TOKYO - Tired of forking out US$500+ bucks a night for a hotel room in Tokyo, when all you do is sleep there? Ever wonder if there’s a better deal to be had for your Japan visit? With the yen being so strong these days, this no-frills hotel located in one of the swankiest districts in Tokyo may be the just what the economy ordered – affordable rooms without having to forego many of the perks more commonly found at higher-end hoteliers. From the outside, Tokyo Stay Aoyama looks more like an office building than a hotel – twenty-five stories of glass and steel design. However, enter the fifteenth floor lobby with its lovely Japanese minimalist décor of dark woods set against floor-to-ceiling windows, and you’ll soon realize this is more than your run-of-the-mill hotel. Rooms are modern and offer all the amenities you’d expect from more high-end options – free wi-fi, satellite, LCD TV, full bathroom including Japanese style bidet, workstation area, central air and, my favorite, the pants press (for those of you unfamiliar with the pants press, it’s a Japanese gizmo that will press your clothes at the touch of a button). Rooms are small by western standards (28 sq meters for a larger double while a single will get you 21 sq meters of space), yet far from the tiny boxes (or capsules) that Japan has been known for. All come with views but if you’re into sweeping panoramas, the doubles on the 24/25th floors are a must. Location-wise, Tokyo Stay Aoyama will put you smack dab in the middle of Minami-Aoyama, one of the nicest (and most affluent) areas in Tokyo, and a great starting point for seeing the city. Many of Tokyo’s most popular attractions are within walking distance — Omotesando, Harajuku, and the Meiji shrine are all nearby. Subway/train stations are conveniently close as well (including Harajuku station on the popular JR Yamanote line) so getting to other parts of the city like Shibuya and Shinjuku is super quick and easy. Alternatively, if you prefer to taxi, the hotel’s location is quite central, so fares tend to be reasonable – at least by Japan standards. Other things to like about Tokyo Stay Aoyama include the always-helpful and efficient multi-lingual staff, the 24-hour am/pm store next to the hotel that’s always good for a tasty snack after an evening out, and the Panino Giusto Italian Café on the first floor, which has a fairly decent beer selection. So, what does it cost to stay at Tokyo Stay Aoyama? 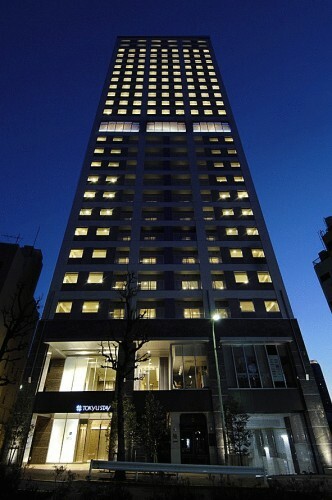 Rates per night start at a very reasonable 15,500 JPY for a single or 25,000 JPY for a double (about US$200 for a single to $US325 for a double at current exchange rates), which also includes breakfast in the hotel’s Architect Café. Not bad when you consider all that Tokyo Stay Aoyama has to offer. 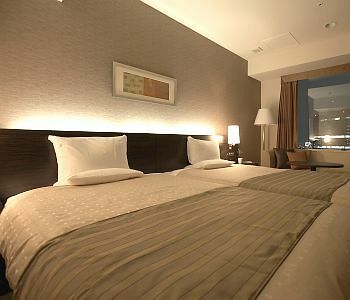 Could it be one of the best hotel deals to be had in Tokyo? We certainly think so. What’s the little thing that makes it worth a stay? The value you get for the price you pay.